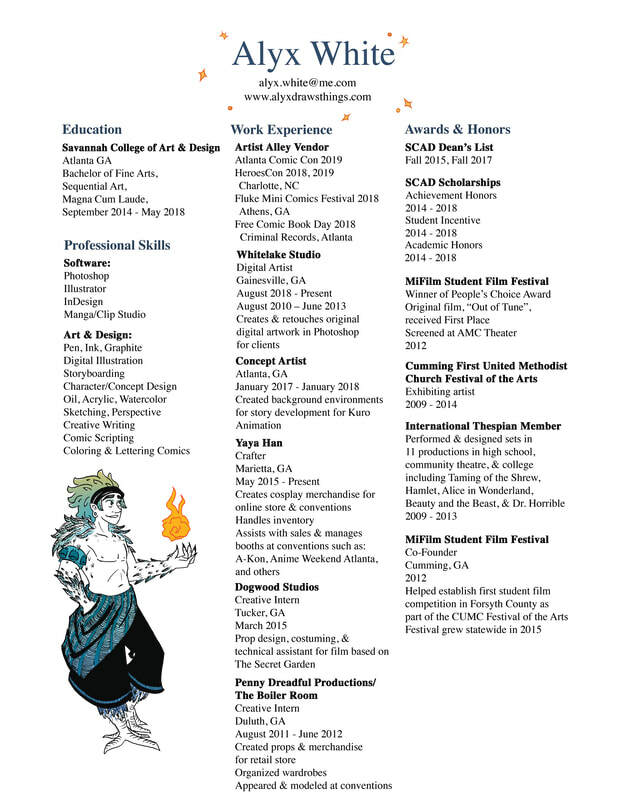 Alyx White is a 2018 graduate of the Savannah College of Art and Design, where she studied sequential art, drawing, and art history. 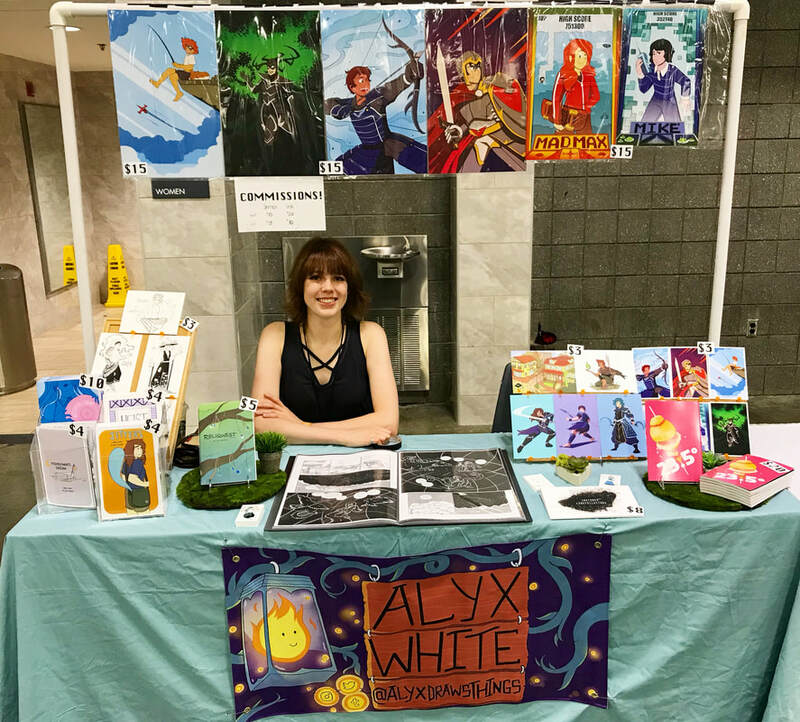 She writes and draws comics with fantasy settings, cute magic, elaborate environments, and plots with just the right amount of mythos and cool lore. She currently resides north of Atlanta (in a small-ish town that no one really knows about) and works for a talented costume designer, making cosplay accessories, and is a digital artist for a photography studio. In her small amount of free time, Alyx likes reading mythologies and murder mysteries, watching baking shows, and attempting to cosplay. Contact Alyx at alyx.white@me.com or follow her online @alyxdrawsthings on Instagram, Twitter, Behance, and whatever other social media exists nowadays.